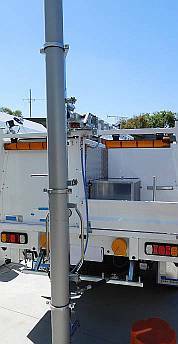 Telescopic Pole and Camera systems for overhead Utility Asset inspection. 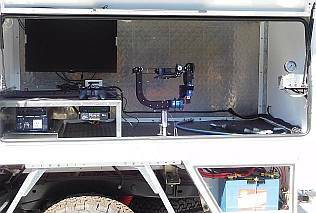 Over the last 7 years our systems have been used for overhead inspections of electricity network assets, mast inspection systems are operated up to 50 times a day and driven off road over mountain terrain and rough roads. Our equipment has stood up to the harsh operating environment and frequent use over those years with service intervals only requiring cleaning and lubrication not worn parts. There is no other equipment like ours that can take the punishment and deliver the goods. 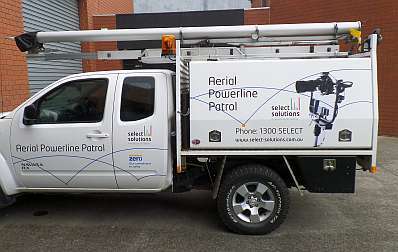 The pole system requires no operator certification to operate so it can be operated by any personel with minimal training. 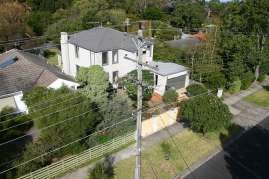 It also takes images with high zoom lenses at high megapixel resolution not low res images such as Drones more often capture due to limitations on camera load most can carry other than quite large and expensive Drones. Suits Electricity, Gas, Water, Communications and other supply networks that require high detail observation and documentation of assets not easily or safely accessible by inspection technicians. Also suitable for WiFi and RF site surveys prior to fixed antenna tower deployment. RVV elevated inspection equipment has features incorporated to manage OH&S risk and reduce operation times for high frequency stop and go inspections without compromising safety. 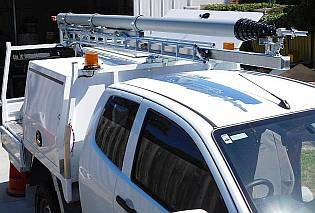 We can build entire vehicle fit outs with Pole system including tray bodies, custom work areas, cabinets and coach works, water tanks and signage racks, all road side safety illumination equipment, inverters, reverse warning monitors all designed and fitted to compliment the inspection system. We can supply GPS equipped Nikon or Canon DSLR cameras with full WiFi control, pre configured with control software installed ready to use and zoom lens options to 300mm to suit the distance range of inspection operations. Our software control system provides easy access to all of the relevant manuals and safety advisories for system operators, software is created in house so it can be tailored to suit particular company specifications and adjusted to suit workflows of individual fleets. Please contact RVV for more information, we have many alternative solutions for specific needs for industry that we can provide if you have a very specific needs.